Hello! I bought a fan brush the other day, finally. Here's the first thing I did with it! 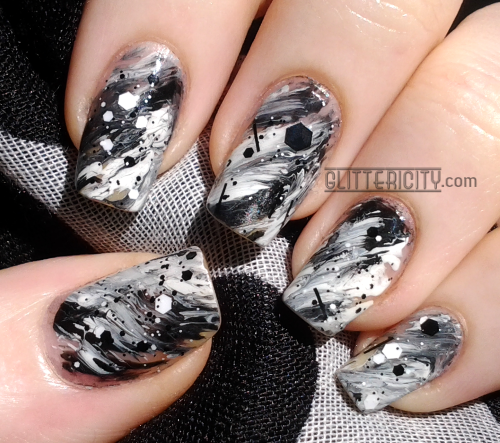 Turns out the easiest way to achieve a marbled look is with a fan brush! I dipped half the brush in white acrylic paint, and half in black. 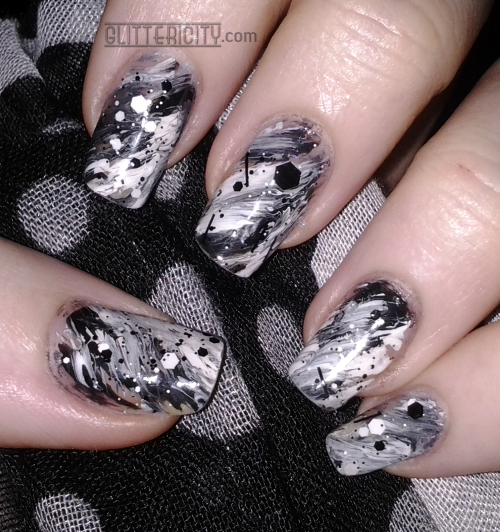 Then I just swiped it onto clean, base-coated nails at a diagonal angle, overlapping the swipes a little to mix them into all the full range of greys you see here. The whole thing, both hands, took about two minutes! 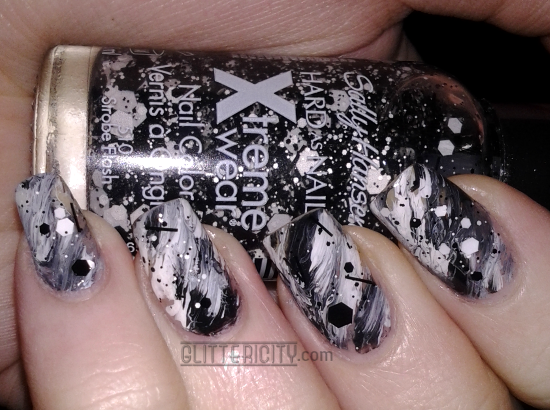 Just to make it a little more interesting, I added a sparse coat of Sally Hansen Xtreme Wear #510 Strobe Flash. 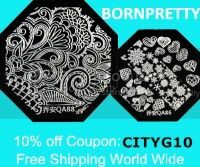 A thin clear base with black and white hexes in all sizes, plus black bars. A great compliment to this look, don't you think?